Instances of casino cheating are very rare, but they can and do happen. Here are a few schemes casinos have used to screw unsuspecting blackjack players. Most of us associate blackjack tricks with advantage play techniques like shuffle tracking and card counting. There is good reason for that, because players are much more likely than casinos to try to use subtlety to tip the scale in their favor. The casino’s motivation is to take money out of your pocket, but when it comes to blackjack their methods are straightforward and transparent. The dealer will be happy to explain the rule variations and house edge for their blackjack table, so you know exactly what you’re getting yourself into. No self-respecting casino will ever try to pull this move, but in the past there were high-profile cases of casinos in Vegas and elsewhere getting nailed pulling tens or face cards from decks, literally stacking the decks against unsuspecting players. All the casino needs to do is remove a ten, jack, queen or king from the deck and the instances of player blackjacks decrease significantly, meaning fewer times that the house has to give a 3:2 payout. And pulling one or even two cards from a deck most likely won’t be noticed by anyone. During most blackjack games the dealer will shuffle once a certain amount of cards have been dealt from the deck (50-60 percent on average). However, if the dealer or pit boss notices that a certain player (whom they assume to be using a card counting system) is winning too much, the dealer will reshuffle on the spot. 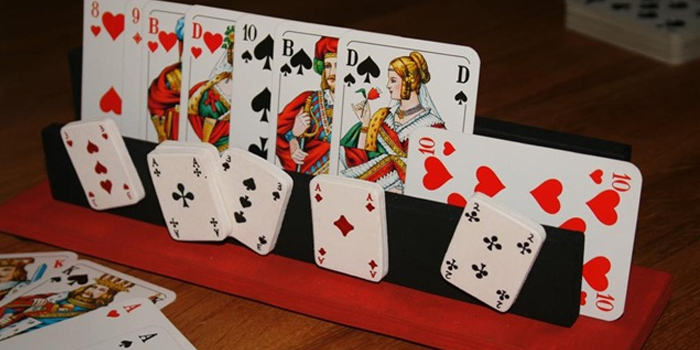 They also may do this is they notice that a lot of low cards but few high cards have been dealt, meaning that players will have favorable chances at winning up upcoming hands. In the worst cases the dealer will reshuffle after only 2-3 hands. This isn’t considered to be outright cheating but it should be, as it essentially gives the casino the right to adjust the house edge when it looks like the cards have tipped in the players’ advantage. If you’re playing at a table and you catch the dealer doing this, you have every right to voice a complaint. This is a pretty nasty trick that has been known to happen, usually in poorly-regulated gambling jurisdictions. The dealer has extremely quick hands and notices that the player has had a few too many frosty umbrella drinks or is simply not paying attention, so rather than dealing the card from the top of the deck, the dealer intentionally hands out a bust card. Selective shuffling, sleight of hand, hyper-shuffling, … fair? This is most commonly done by the dealer pulling a card from the bottom instead of the top. Sometimes the pit boss will also instruct a cocktail waitress to distract the player in the middle of a big bet, thereby preventing him from seeing the dealer use a sleight of hand maneuver. This isn’t considered to be outright cheating, but when the dealer is a “speed demon” the house edge always increases. Shooting through hand after hand allows the casino to make more money over the course of the night, and it also makes things easier for the dealer to play tricks. Dealing hands extremely quickly means that the dealer can sometimes fudge the rules without the player noticing; for example miscounting a hand here or dealing a card from the bottom of the deck there. A few minor errors per hour add a lot to the casino’s take over the course of a night. The faster the cards are dealt the harder it is for the player to follow along. For that reason, most casino strategy experts advise blackjack players to stay away from tables at which the dealer looks to be working extremely fast. Why would a dealer cheat? Dealers make a living from salaries and tips, and more winnings for the casino don’t necessarily mean more money in their pockets. So why would a dealer cheat in the first place? One explanation is that casinos keep detailed statistical records of their winnings at every table and with every dealer, and thus dealers are under pressure to impress their bosses. Some older Las Vegas dealers have anonymously told journalists that back in the day when many casinos were mob-run dealers would be required to run scams against players. Refusing to do so meant kissing their jobs goodbye. These days, however, there is very little incentive for a casino to cheat. For one thing, regulatory bodies like the Nevada Gaming Control Board and the New Jersey Gaming Commission are serious about auditing casinos and cracking down hard when wrongdoing is found. Just as important, casinos need to look out for their reputations. In the internet age word spreads quickly, and if a player thinks they got cheated the casino stands to lose a lot of business. Cheating can and does occur (as this article makes clear) but it is most likely extremely rare.